Entre Mar e Mar price per day from € 65 Located on a narrow strip of land surrounded by the Atlantic Sea waters, Entre Mar e Mar offers natural charm and free Wi-Fi in public areas. 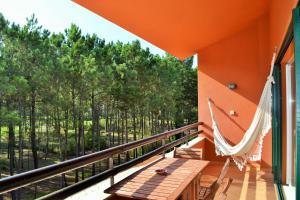 Guests at Entre Mar e Mar are welcome to relax in the pine forest and in the garden overlooking several lakes. 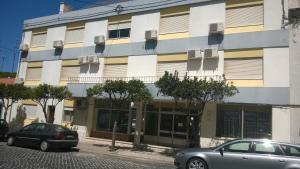 Cerca da Vitória I Cerca da Vitoria 1 is located in Sesimbra, 180 metres from its renowned beach area. 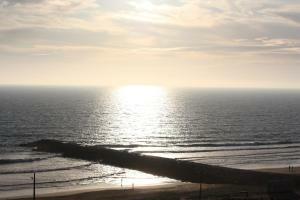 Local restaurants, serving fresh fish specialities are available within a short 3-minute walk. Lisbon features many lively and historical areas for guests to visit, such as Chiado. 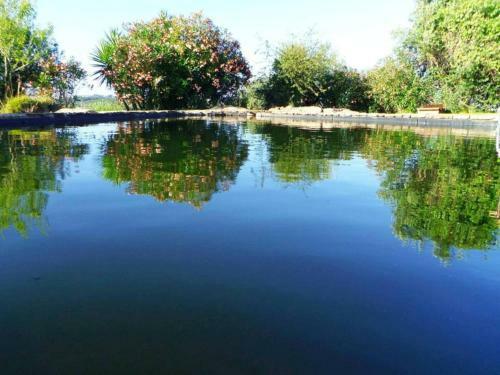 A Deolinda price per day from € 120 Located in Santiago do Cacém, A Deolinda guest house offers guests the peace and tranquillity of the Alentejo region. A Deolinda includes single, double or twin rooms equipped with air conditioning, TV, wardrobe and private bathrooms. In addition, guests staying at the apartment can cook their own meals. Herdade da Matinha Country House & Restaurant price per day from € 119 Boasting a picturesque setting close to the beach within the South West Alentejo and Vicentine Coast Natural Park, this guest house features an outdoor pool and a garden. Surrounded by old oak trees, Herdade da Matinha Country House & Restaurant offers elegantly decorated rooms with wooden furniture. Guests can start the day with breakfast in the breakfast room or in the exterior area..
Beachouse price per day from € 100 Located in Costa da Caparica, Beachouse is located 50 metres from the beach. The air-conditioned unit features an equipped kitchenette, private bathroom and a dining area. Water sports equipment may be rented on the property. Casa da Eira - Santiago do Cacem price per day from € 100 Casa da Eira is wooden house located in Santiago do Cacém and offers a balcony with views of the castle. The private bathroom comes with a shower and free toiletries. An array of activities can be enjoyed on site or in the surroundings, including hiking..
Apartamento Golf Resort Apartamento Golf Resort is a self-catering accommodation located in Aroeira. The living room is equipped with sofas, a flat-screen cable TV and a DVD player. Montadinho Houses price per day from € 75 Montadinho Houses combines recently-built and restored units featuring local architecture and an outdoor swimming pool. The living room has a fireplace, a seating and dining area, cable TV and DVD player. The compact kitchen is equipped with a hob, oven, refrigerator and all the necessary utensils to prepare meals..
Herdade do moinho price per day from € 55 Set in a former windmill, the Herdade do Moinho features a biological outdoor swimming pool. The ground floor has a stove, refrigerator, microwave, coffee machine, radio, and a bathroom with a shower. Featuring the original mill mechanism, the living room on the 2nd floor also has a sofa, a small dining area, a double bed and a satellite TV..
Monte Horizonte - Eco Turismo Rural price per day from € 50 This quiet, charming eco-resort is located a 5-minute drive from the historic centre of Santiago do Cacém. All villas are filled with natural light and fitted with wooden furnishings. São Torpes Beach is 15 km away from Monte Horizonte - Eco Turismo Rural..
Residencial Gabriel price per day from € 35 Residencial Gabriel is located in the centre of Santiago do Cacém. Each room here will provide guests with a cable TV, air conditioning and a private bathroom. In the vicinity within 200 metres guests will find restaurants serving traditional Portuguese cuisine. Monte do Giestal - Casas de Campo & Spa price per day from € 90 Featuring an outdoor pool, Monte do Giestal offers air-conditioned villas with a kitchen. The well-equipped kitchen has a dishwasher and a full-size fridge. It also has a lounge room with a TV and a large sun-lounger terrace. Casa Morgados Boutique Guesthouse price per day from € 80 Located in Alentejo’s seacoast, in the peaceful village of Grândola, Casa Morgados Boutique Guesthouse is a totally recovered family house with a modern design and bright areas on a bucolic and restful location. Guests can use the outdoor pool and the sun loungers. 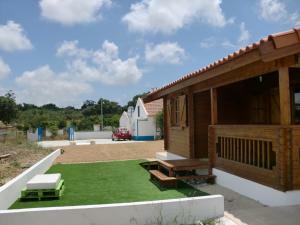 O Pátio price per day from € 25 Set in Sesimbra, O Pátio is a tranquil homestay near the Portuguese capital. For more meal options, several local restaurants are available within 2 km of the Pátio. The green areas of the Arrábida Natural park are a 20-minute drive away, and Meco Beach is 15 minutes' driving..
Casazul M&B price per day from € 33 Located in the heart of Cercal, the Art Nouveau-style Casazul M&B features traditional Alentejo-style décor and offers rooms with a balcony and a private bathroom. The individually decorated rooms are equipped with a satellite TV, air-conditioning, and free Wi-Fi. Guests at Casazul M&B can relax on the sun terrace with a beverage or coffee from the bar..
Sesimbra. 71+ apartments, 45+ villas !